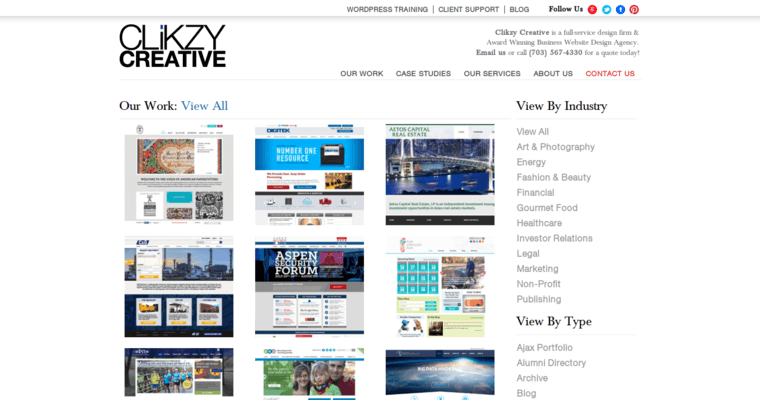 Since June of 2013, CLiKZY Creative has received the achievement of ranking at #2 of the 10 Best Web Design Firms. This design firm features outstanding work and consistent web designs that simply can not be surpassed. 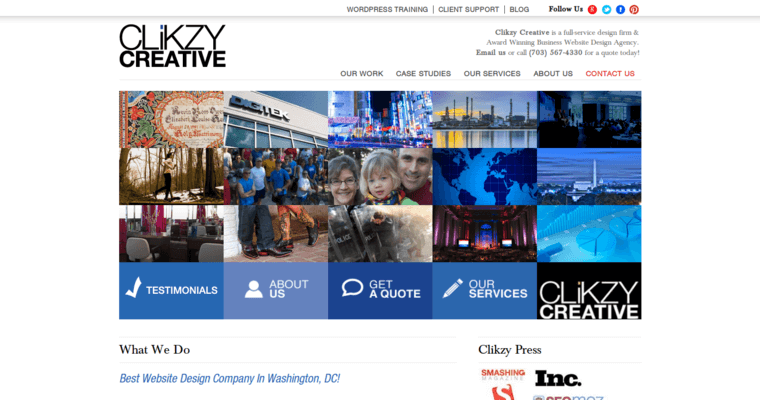 Located in the Washington D.C. area, CLiKZY Creative provides design services not only to local companies, but to companies from all around the world. From small start-ups to large scale companies, the CLiKZY Creative team will work with you to design the website of your dreams. This interactive design agency generate fast results by effectively marketing your website throughout all corners of the internet. In addition, eCommerce website design services are also available for retailers and those interested in easily selling their products over the internet. From the front-end to the back-end, every aspect of your website is completely customized to meet all of your needs. Take your project to the next level with CLiKZY.